This week we will focus on deciding what you want out of life. I would like you to think about this. All that is standing in the way for you to receive everything that you want out of life is for YOU to ask for it. Just a very simple request coming from your heart to the Universe will bring to you exactly what you desire. The very best part of this is that the Universe actually wants more for you than you can ever imagine for yourself. We all know, or at least we should know, that we can have anything that we desire and want, and there is no such thing as a shortage of supply in this universe. 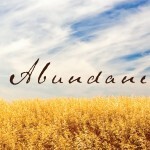 Everywhere we look, there is abundance and it is meant for you to have. By you receiving what you want will not take anything away from anyone else. Do not worry about “how” when it comes to receiving your abundance. The only thing you should be focusing on and having to deal with is the “what.” Once you have decided on what you truly want out of life, then the universe will begin to move to supply the “how.” It should not be your concern on how you will achieve your goals. In fact, it shows a lack of faith to even consider the “how.” Just believe that it will happen, and that you deserve the abundance in your life and the universe will reveal the “how” to you. Too many people get hung up on the how. They need to figure it all out first before they get started. They usually never get started because most of the time you cannot figure it all out. By just focusing on getting started the finishing will take care of itself. Think of this as a flashlight on a dark path. Your light beam only goes so far. It shows you just so many steps ahead so you don’t trip and fall. Then when you get to the end of the beam it will show the next steps. This is the same thing in everything you do. Just figure out how to get started and usually the next step to take will reveal itself. You can even maybe figure out the first one or two steps but don’t get hung up with trying to figure it all out first. Just get started. Now part one will take focused effort on your part. Once you do get rolling you will find it does not take nearly as long as you might think. Your mind and your soul know what you really want. This exercise simply listens and writes everything it hears. In fact, you may be listening for the first time. In the starting lesson you storyboarded your future. Now you are going to start focusing on living a life of abundance and prosperity. Go through this life-changing exercise that you really must do before moving into the following weeks. This is a vital exercise because it first will teach you to really dig down deep on what you want. Then you will put timelines to each one and everything you do. 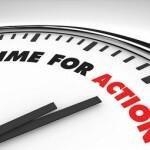 Once you assign a timeline, then your wish list will become and morph into an extended to do list. That perspective changes everything about what you want, doesn’t it? The exercise below is called “Goaling.” Next week we will go into more of prioritizing of what you are doing today. Right now just focus on this task. This exercise is probably one of the most powerful exercises I know! Ready? This sounds like a big job doesn’t it? Well, it is. How can you expect to receive what you want if you don’t know what you want? And this is just the beginning. If you start thinking from a mindset of abundance then you will keep adding to your list. 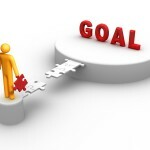 Here is how to make your list of 101 goals and wishes. Take out a blank sheet of paper, it can be completely blank or lined, and write down numbers 1-101. Start writing a goal or wish next to each number. Do not concern yourself with how long it takes as it does not even have to be done in one sitting. If you are serious about getting what you deserve in life you will get it done. Do not just focus and concentrate on the big stuff. It could be that you want to be a manager in your company or maybe even the president one day but you also may want to learn how to water ski or snowboard. The smaller things are just as important as the bigger things because you want them. If you just write I want to learn to swim, you may find yourself sinking in a boat on a lake one day and end up learning the hard way. So be as specific as you can and remember that the universe is listening. After you have completed your list you should read it often, in fact every day, and visualize each goal or wish as you go along. This does not have to be a long visualization as it could be as little as 15 to 30 seconds. Now get ready because goals have a tendency to be realized in groups. In fact, it is not unusual to have eight or 10 happen in one week. Once you start to achieve your goals and wishes, never scratch them out. Instead, I would write the word VICTORY next to that goal or wish with a purple pen. Why purple you ask? Purple is the color of royalty and is the highest spiritual color. Remember, life is not about finding yourself, life is about creating yourself. It is time to create an awesome life.